Kim Kardashian, mother of North, Saint, and Selfies, is having a terrible, horrible, no-good, very bad day, and it’s all because her phone broke. But not her Lumee®-wrapped iPhone, which is presumably fine and could easily be replaced by Apple. It’s her second phone—her Blackberry—that has suffered irreparable damage. Kim, as many of you probably know, is a vocal Blackerry fan—an unsolicited and uncompensated spokesperson, if you will. She prefers their physical keyboards to touchscreen versions on most phones of today, and has spent the past several years stockpiling the now-discontinued BlackBerry Bolds (her favorite model) on eBay to have on hand when one ultimately breaks. But Kimberly’s luck has run out, as she spent a chunk of her Monday afternoon publicly lamenting the lack of Blackberry Bolds on eBay. 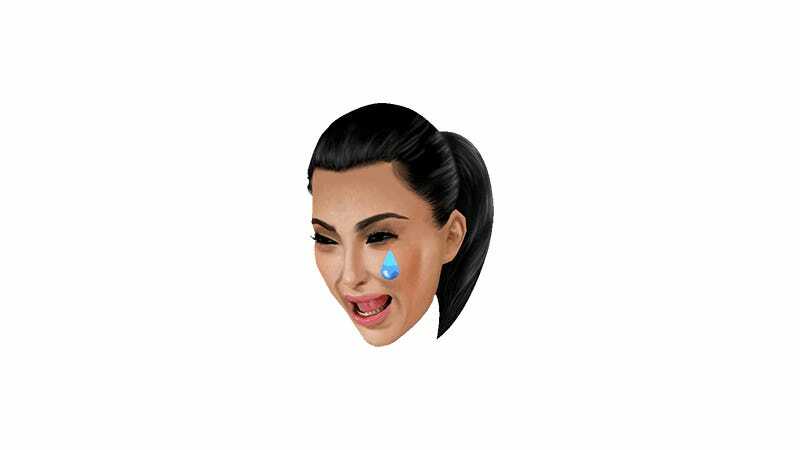 She followed the sad story with two final tweets—each including a single Kimoji. The first: her beloved Blackberry Bold. The second: her crying face. So if any of you have spare Blackberry Bolds (Blackberries Bold?) lying around, now’s the time to put them up on eBay. If the winning bidder ships to Calabasas, give yourself a pat on the back, for you have saved a life.